Dr. Adrian Reisch is the responsible Partner for Product Lifecycle Management (PLM) at EY globally. 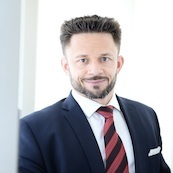 He advises leading industrial companies from industrial products, automotive and transportation, lifescience and consumer goods for more than 10 years on how to manage increasing complexity, bringing new products and services faster and more efficient into the market, as well as ensure future growth and profotability with new business models. Adrian Reisch is first Lieutenant in the Swiss Army and holds a PhD in molecular biology with focus on neuroscience.